Located less than five minutes from the popular surf town of Playa Dominical, Villa Pacifica is a beautiful property that exudes sophistication and style and was built to international luxury standards that will impress even the most sophisticated traveler. Villa Pacifica represents the type of property that is most desirable in the region - A modern/tropical designed home in a great location with world class ocean & jungle views, top notch infrastructure, easy access, solid rental potential, privacy and security. 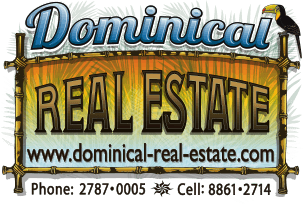 Villa Pacifica is located in the gated and secure community of Paradise Breezes, accessed by a private paved road only 2 minutes to your front door from the main highway. The entrance road is beautifully landscaped and lit at night, a luxury detail that is rare in Costa Rica. After parking in the covered carport, you enter the villa through your natural stone staircase. The modern kitchen combines dark, custom wood cabinetry and granite countertops with stainless steel appliances. The year round sunsets, panoramic ocean and whitewater views are spectacular and the lush vegetation create a true feeling of paradise! The villa has a large covered patio and lovely infinity edge pool to cool off, have a drink and watch the sunset over the horizon. A small trail leads back to a private jacuzzi, tucked into a jungle grove with tropical fruits, where you can enjoy the stars at night. The property has an intact animal corridor on both sides, so toucans, monkeys, sloths and other wildlife are a common sight directly from the patio! Enjoy breathtaking ocean & jungle views from both master suites, living room, dining room, kitchen, and balconies. The property has excellent rental potential and is staffed with a full time English speaking concierge/property manager who is at your service 24/7 to help with any request, including booking activities like zip lining, white water rafting, deep sea fishing, horseback riding, diving or arrange for your own private Chef, massages, car rental and more. A state of the art solar system was installed in 2014 and saves approximately 70% on electricity. House has a new furniture package which comes with the sale and a new water filtration system. A 2006 Toyota RAV 4 in great shape comes with the sale. A full turn-key package! Villa Pacifica is located in a pristine location, at the entrance to the OSA Peninsula, on the immediate path of appreciation and with easy access to multiple beaches. This is an excellent deal on a well built home that is secure, 2wd access on concrete roads, in a prime elevated location, amidst the jungle and enjoying stunning ocean views with year round sunsets. Home comes fully furnished, turn-key and ready to enjoy. With a shortage of of quality, ocean view homes in the Ballena Coast region and an increase in demand, this deal won't last long! Annual HOA fee is $606.